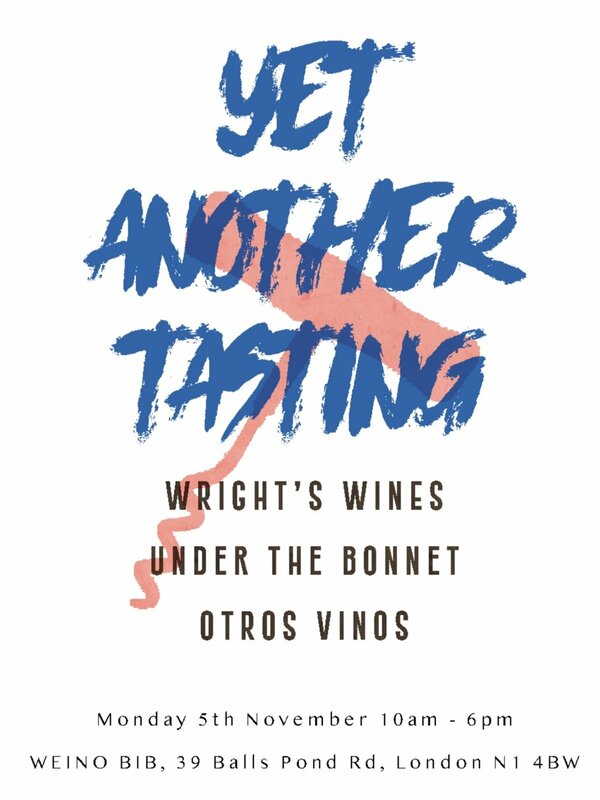 Teaming up again with our mates Joel of Wright's Wines (the importing arm of the wonderful Wright’s Food emporium in Llanarthney and Cardiff) and Fernando of Otros Vinos (specialist in all things wild, delicious and Spanish). We shall all be showing a selection of new releases and some old favourites perfect for the winter months. The tasting will run from 10am - 6pm and is very kindly being hosted by the wonderful Kirsty at her shop/bar WeinoBIB, specialist in all things bag, box and re-fillable.